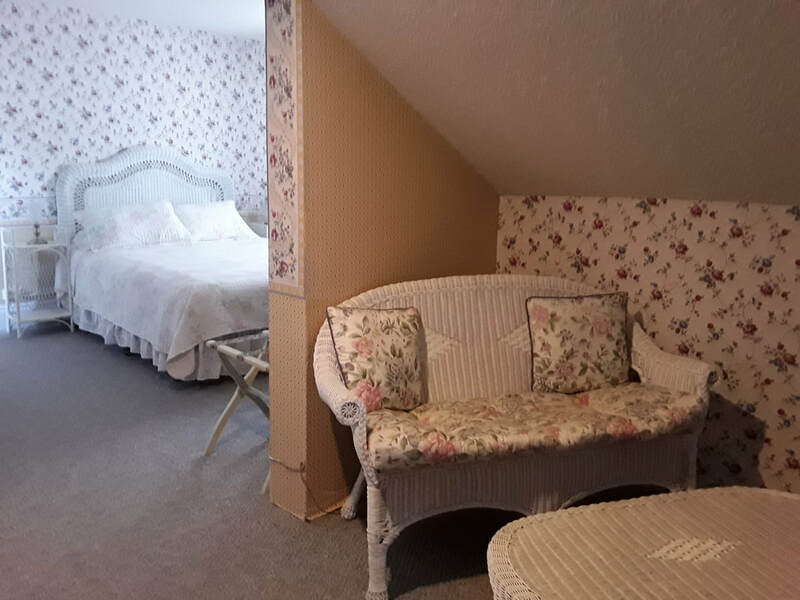 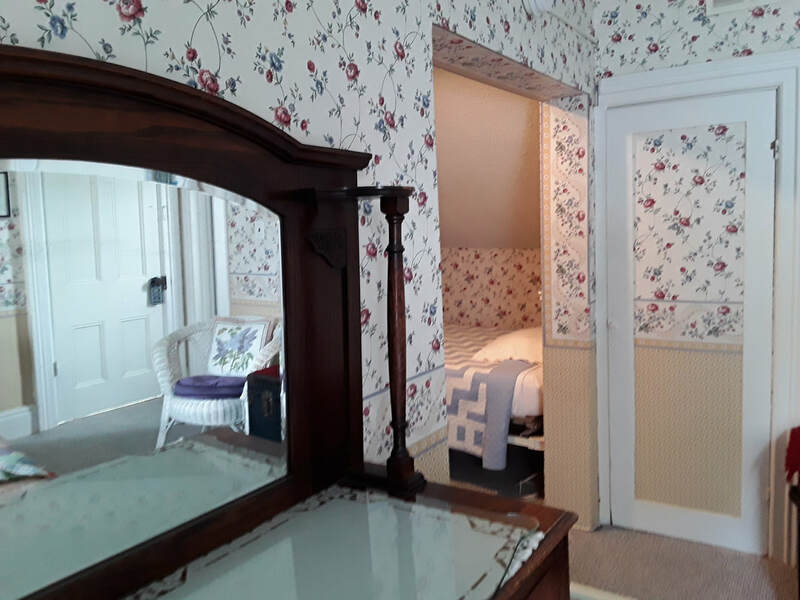 Room #1 is a two room suite separated by an arch nestled under the eaves on the second floor that can accommodate up to 3 guests and our only room with more than one bed. 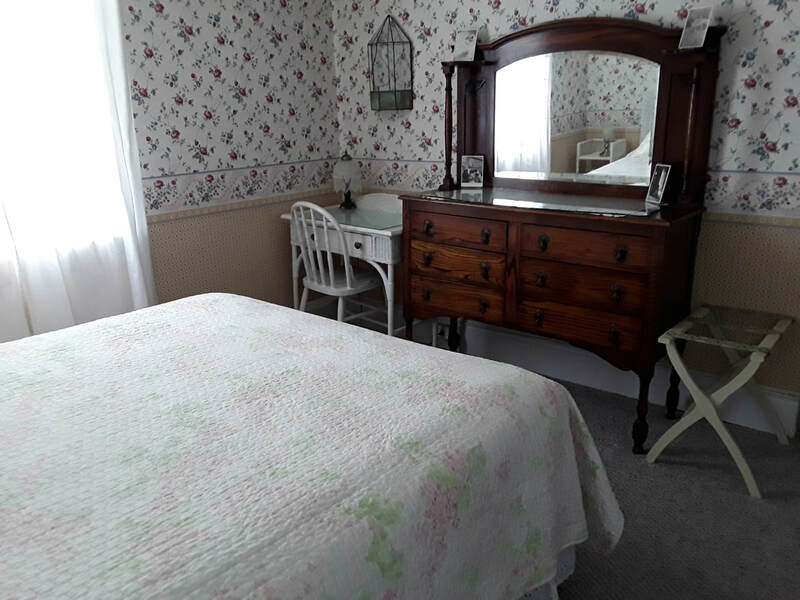 The suite is approximately 300 square feet with an ensuite bathroom with a tub/shower combo. 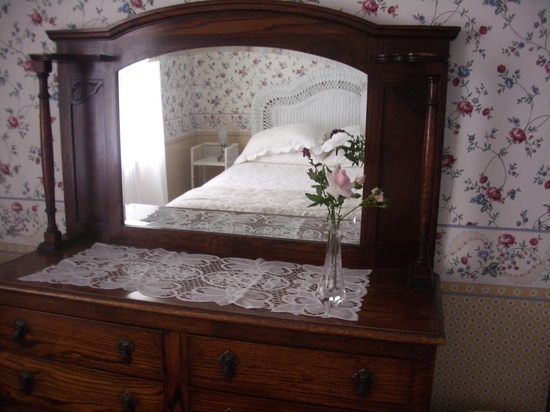 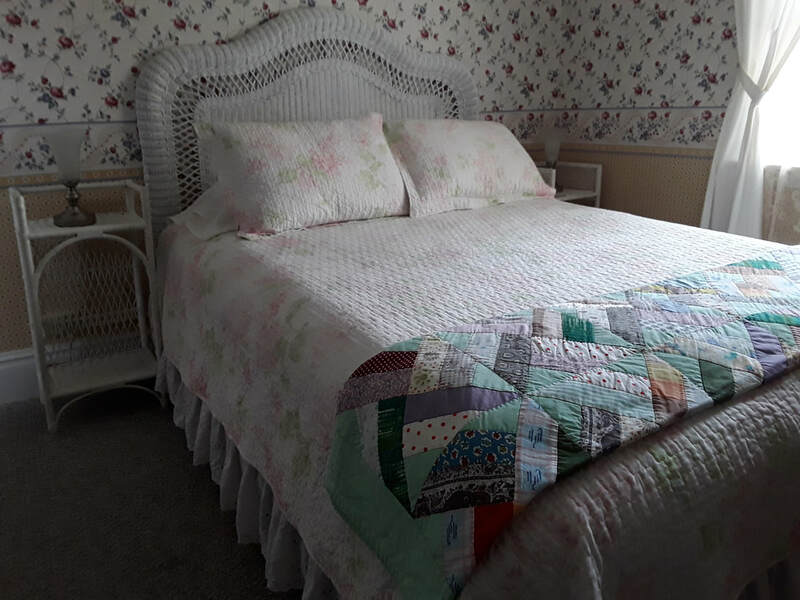 There is a queen size bed, an antique white iron and brass 3/4 bed, an oak dresser and mirror, a desk, love seat, chairs, bar fridge and TV.